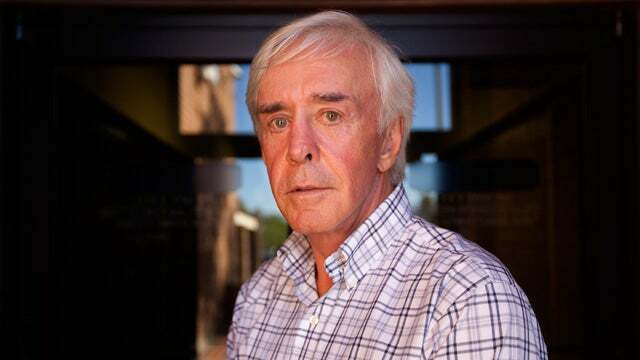 Las Vegas gambler Billy Walters in 2011. A professional gambler linked to golfer Phil Mickelson in an insider trading scandal pleaded not guilty and had his bail set at $25 million on Wednesday after a prosecutor said he was worth about $200 million and was a high risk to flee. Over government objections, a Manhattan federal magistrate judge said William Walters can keep flying in his personal jet, though another judge later said the Pretrial Services office in the courthouse can force him to take commercial flights if it wishes. Walters has pleaded not guilty to charges he made tens of millions of dollars in illicit stock trades. Magistrate Judge Andrew Peck rejected arguments by a prosecutor who said Walters could easily fly to Mexico if not restricted to commercial travel. He required two of Walters' pilots to agree they'd owe $1 million if Walters flees on their planes. Assistant U.S. Attorney Brooke Cucinella said Walters, 69, is a "person who believes he is above the law." She said his net worth was about $200 million and he has earned $30 million annually for the past three years and about $40 million annually for each year in the decade before that. Cucinella said Walters' incentive to flee will increase when he begins to see "incredibly damaging evidence" from the government in coming days. Defense attorney Barry Berke said Walters flies frequently between his businesses, including auto dealerships, golf courses and real-estate ventures, in Kentucky, Arizona, Nevada, California, Florida and Georgia. He has said the accusations "are based on erroneous assumptions, speculative theories and false finger-pointing." At a hearing later Wednesday, Judge Kevin Castel limited travel for Walters to parts of New York and California unless he gets approval from Pretrial Services to go elsewhere. As Walters left the courthouse, he declined to comment. He had originally been arrested in Las Vegas last month on the charges and freed on $1 million bail. Mickelson was spared from criminal charges after the Securities and Exchange Commission accused him in a civil lawsuit of making nearly $1 million in a 2012 stock trade that Walters suggested he make. Authorities say he has agreed to repay it. The SEC said Mickelson used the proceeds of the stock trade to pay off a gambling debt to Walters. Mickelson's management group has said the golfer felt "vindicated" that prosecutors did not charge him criminally. A PGA Tour spokesman has said the tour is looking into the matter. A section of its handbook said players should not associate with people whose activities, including gambling, might reflect adversely upon the sport's integrity. Mickelson, 45, was inducted into the World Golf Hall of Fame in 2011. He has won 42 tour events, including five majors.